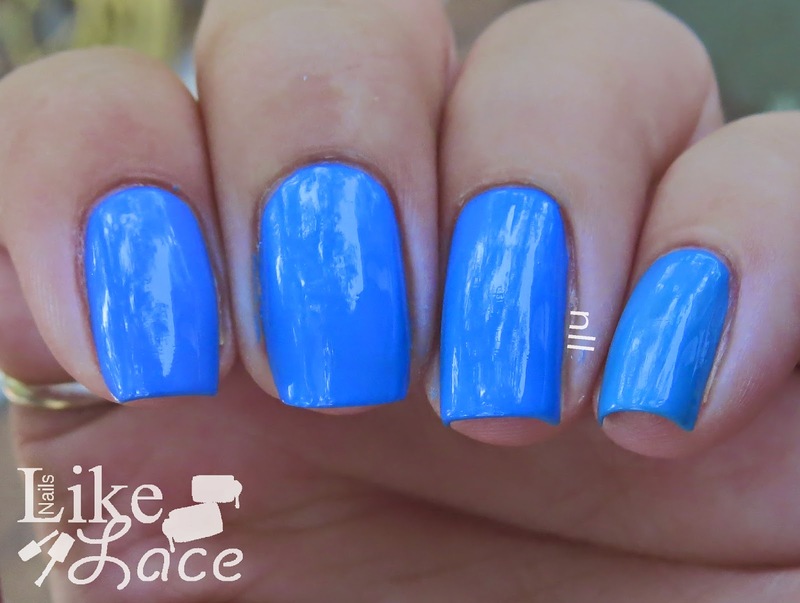 I started to put on Zoya Yummy the other day, and realized it appeared to look like Revlon Coastal Surf. Oh, wait... OPI No Room for the Blues too? So I decided to grab all three, plus a fourth that looked similar, and compare them real quick. Left -> Right (Index to Pinky): Zoya Yummy, Revlon Coastal Surf, OPI No Room for the Blues, and Orly Blue Collar. It is easier to see in person than in the pictures, but Zoya Yummy is slightly paler than the others, and Orly Blue Collar is a tad more aqua/green. I've shown them all at two coats, and each needed a third except Zoya Yummy. 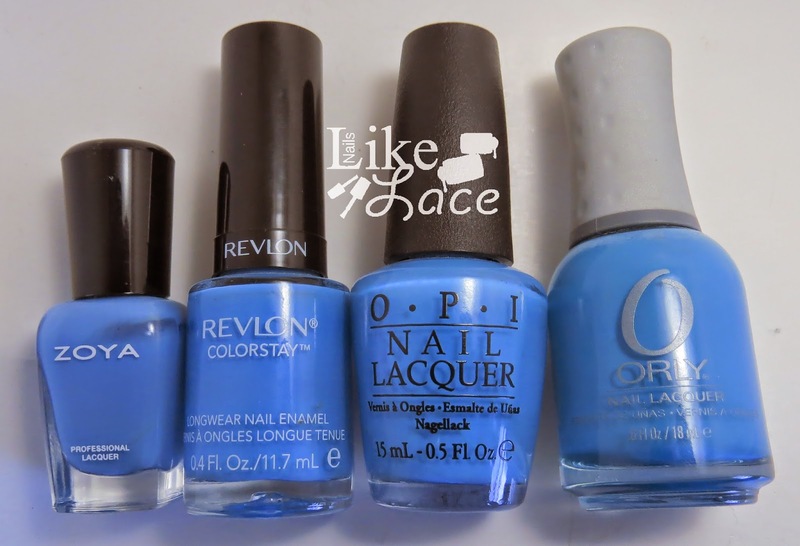 Revlon Coastal Surf and OPI No Room for the Blues were exact dupes in color, formula, application, and everything. I would say overall, if you own one of the first three, you don't need the others, but Orly is the odd man out.